meditations based on his writings. 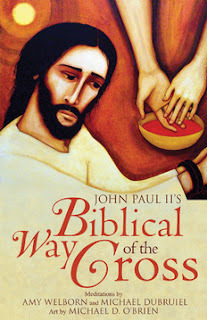 The book was later published as Praying in the Presence of Our Lord with Fulton J. Sheen. The archbishop read from Paul’s First Letter to the Corinthians: “For any one who eats and drinks without discerning the body eats and drinks judgment upon himself. That is why many of you are feeble and sick, and a number have died” (1 Corinthians 11:30, NEB). The archbishop read it very dramatically, and commented that it was interesting no one ever took that verse into account. Then, without any further remark, he went on to talk about something else. That night I found myself thinking about the passage, over and over. I knew from previous courses that the meaning of the passage confused many commentators. The next morning, I did a quick study and found that the Greek word that Paul used for “died,” koima?, literally means “fallen asleep.” Thought it often means “death,” it can also mean actual sleep. We know from the Acts of the Apostles that St. Paul once preached a very long sermon, which caused a boy, Eutychus, to fall into such a deep sleep that he toppled out a window. Most of the worshippers presumed he was dead. Paul momentarily interrupted his preaching to check on Eutychus and declare him alive. Paul then went on with the breaking of the bread, in what we would call today the rest of the Mass. It dawned on me that Eutychus might have been the inspiration for what Paul was writing to the Corinthians when he referred to “some who have even fallen asleep”! How often do we attend the Sacrifice of the Mass without really knowing why we are there, or without paying attention to what is going on? This is how we eat and drink without discerning: We grow sick of the Mass, and don’t get anything out of it. We grow feeble in our faith or—like poor Eutychus—we are bored to death! In “The Constitution on the Sacred Liturgy,” the fathers of the Second Vatican Council noted that pastors have a duty to ensure that the “faithful take part fully aware of what they are doing, actively engaged in the rite and enriched by its effects” (SC 11). Unfortunately, when it comes to the Sacrifice of the Mass, those who should know are often as muddled as those who look to them for the answers. On the day of the Last Supper, when he instituted the Eucharist, Our Lord sent his apostles ahead to make the preparations. They were to tell the “certain one” that his “time was at hand.” The fact that no name is given is interesting. Some commentators have noted that it could be that the Matthew did not want to reveal the name of the individual, to protect them from the authorities; of course, this makes sense only if the Gospel were written much earlier than is commonly believed. Another possibility is that the generic “certain one” is you and I; in much the same way as the “disciple whom Jesus loved” can be the reader or hearer of the word as well as the historical individual. In the Book of Revelation Our Lord says, “Behold, I stand at the door and knock; if any one hears my voice and opens the door, I will come in to him and eat with him, and he with me” We who are called to the Lord’s Supper have a duty to prepare ourselves for this encounter with the Lord. 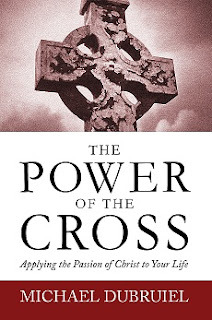 We must examine ourselves so that we may worthily take up the cross he gives us. In the Eucharist, our sacrifice is joined to the one sacrifice of Christ, it is our entrance into his kairos, “God’s time." What will we say when the messengers of Our Lord come to us and tell us that the time is at hand, and the Lord wishes for us to prepare for his Passover? Will we open the door of our hearts and welcome him? Maria Montessori, founder of the Montessori method of learning, wrote a book in the early twentieth century about the Mass for Children. She began by describing the inside of a church: candles lit, altar cloths set on the altar. Something very special must be about to take place here, she said. Just as the disciples prepared for the Passover, the Last Supper of the Lord, so we must prepare to welcome the Savior before we approach his banquet. Being prepared for Mass is essential to the disciple and follower of Jesus Christ who wishes to be enriched with his teaching and be fed with his Body and Blood. St. Paul’s admonition to examine ourselves is paramount if we are not to eat and drink judgment upon ourselves—but rather partake in the Way, the Truth, and the Life.